¹Offer available on qualifying purchases made between 01 March 2019 and 30 April 2019. Savings based on the purchase of eligible equipment. Offer available on the purchase of any new X330, X350, and X350R Select Series Lawn Tractors in the U.S. only. Prices and savings in U.S. dollars. See your participating dealer for details. ¹Offer valid March 1, 2019, through May 31, 2019. 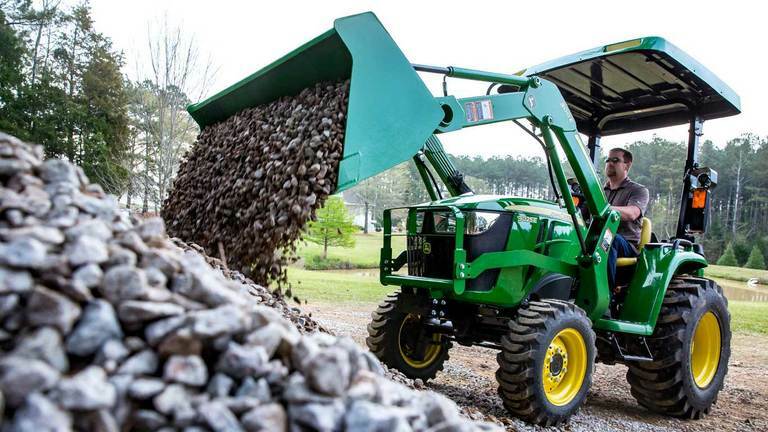 Receive 15% off MSRP with the purchase of one or more a Material Collection System (MCS), Mulching Kit, or Bluetooth connectivity attachments. Savings are applied to the total before shipping/delivery charges and consistent with applicable sales tax requirements. Maximum discount of $200. Not applicable on factory-installed attachments/packages. Cannot be combined with any other offer. Offer is valid at participating John Deere dealers in the U.S. John Deere, the leaping deer symbol, and green and yellow trade dress are trademarks of Deere & Company. ¹Offer valid on purchases made between 1 February 2019 and 30 April 2019. Subject to approved installment credit with John Deere Financial, for agricultural, consumer, or commercial use only. No down payment required. $16.67 per month for every $1,000 financed. 0% APR is for 60 months only. Sales made to government agencies, company direct sales or other businesses/agencies that participate in John Deere's Special Discount Program or in John Deere's Rental Business Program are not eligible. Taxes, freight, setup and delivery charges could increase monthly payment. Available at participating U.S. dealers. Prices and models may vary by dealer. Offer available on new John Deere 1 Series Sub-Compact Tractors and in the U.S. only. Prices and savings in U.S. dollars. ³Offer available on qualifying purchases made between 1 February 2019 and 30 April 2019. Prices and models may vary by dealer. 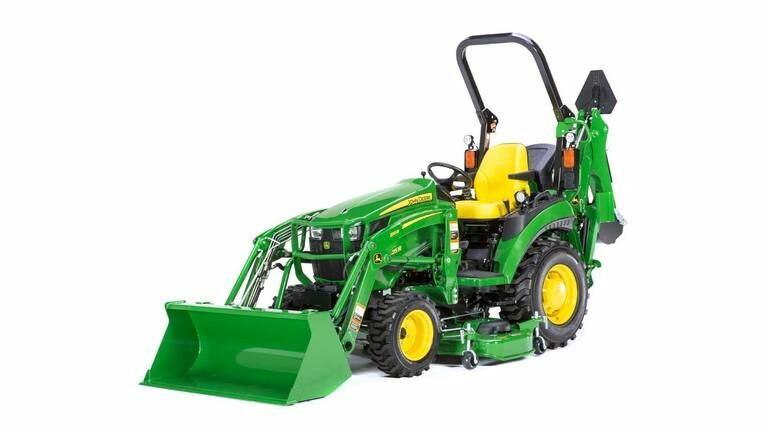 Save $300 USD on new John Deere 1023E and 1025R Tractors only. This can be combined with the regular installment options. Sales made to government agencies, company direct sales or other businesses/agencies that participate in John Deere's Special Discount Program or Rental Business Program are not eligible. Some restrictions apply, so see participating dealer for details and other financing options. Offer is available only on New John Deere 1023E and 1025R Tractors only at participating United States dealers. Prices and savings are in U.S. dollars.5Offer valid for $500 off on all New John Deere 1 Series-Sub Compact Tractors when purchased with two or more John Deere or Frontier Implements purchased from an authorized John Deere dealer between 1 February 2019 and 30 April 2019. Prices and models may vary by dealer. This can be combined with the regular installment options. Sales made to government agencies, company direct sales or other businesses/agencies that participate in John Deere's Special Discount Program or Rental Business Program are not eligible. Offer is available only on New John Deere 1 Series-Sub Compact Tractors only at participating United States dealers. Prices and savings are in U.S. dollars. ¹Offer valid on purchases made between 1 February 2019 and 30 April 2019. Subject to approved installment credit with John Deere Financial, for agricultural, consumer, or commercial use only. No down payment required. $16.67 per month for every $1,000 financed. 0% APR is for 60 months only. Sales made to government agencies, company direct sales or other businesses/agencies that participate in John Deere's Special Discount Program or in John Deere's Rental Business Program are not eligible. Taxes, freight, setup and delivery charges could increase monthly payment. Available at participating U.S. dealers. Prices and models may vary by dealer. Offer available on new equipment and in the U.S. only. Prices and savings in U.S. dollars. ³Offer available on qualifying purchases made between 1 February 2019 and 30 April 2019. Prices and models may vary by dealer. Save $300 USD on new John Deere 2025R Tractors and save $1000 on 2032R and 2028R only. This can be combined with the regular installment options. Sales made to government agencies, company direct sales or other businesses/agencies that participate in John Deere's Special Discount Program or Rental Business Program are not eligible. Some restrictions apply, so see participating dealer for details and other financing options. 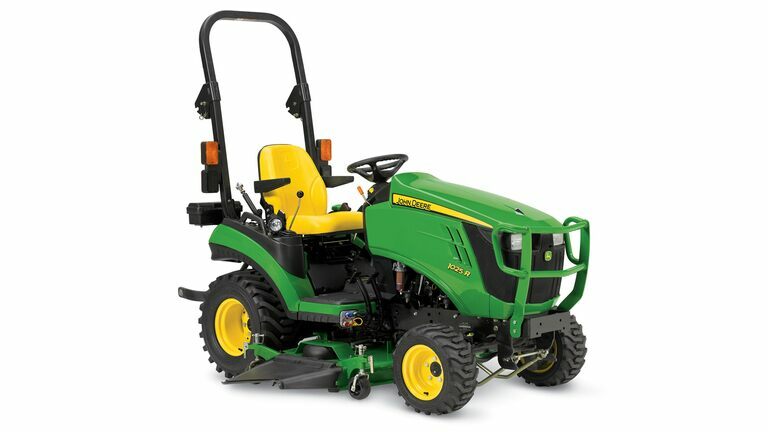 Offer is available only on New John Deere 2025R Tractors only at participating United States dealers. Prices and savings are in U.S. dollars. 5Offer valid for $500 off on all New John Deere 2 Series Sub-Compact Tractors when purchased with two or more John Deere or Frontier Implements purchased from an authorized John Deere dealer between 1 February 2019 and 30 April 2019. Prices and models may vary by dealer. This can be combined with the regular installment options. Sales made to government agencies, company direct sales or other businesses/agencies that participate in John Deere's Special Discount Program or Rental Business Program are not eligible. Offer is available only on New John Deere 2025R/2032R/2038R Compact Utility Tractors only at participating United States dealers. Prices and savings are in U.S. dollars. ¹Offer valid on purchases made between 1 February 2019 and 30 April 2019. Subject to approved installment credit with John Deere Financial, for agricultural, consumer, and commercial use only. No down payment required. $16.67 per month for every $1,000 financed. 0% APR is for 60 months only. Sales made to government agencies, company direct sales or other businesses/agencies that participate in John Deere's Special Discount Program or in John Deere's Rental Business Program are not eligible. This offer can be combined with dollars-off promotions. Taxes, freight, setup and delivery charges could increase monthly payment. Available at participating U.S. dealers. Prices and models may vary by dealer. Offer available on new John Deere 3E Compact Utility Tractors and in the U.S. only. Prices and savings in U.S. dollars. 4Offer available on qualifying purchases made between 1 February 2019 and 30 April 2019. 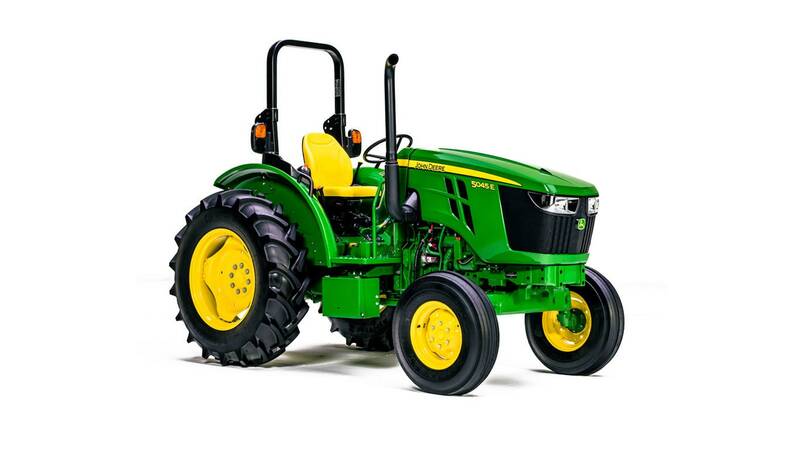 Prices and models may vary by dealer Save $1,000 USD on new John Deere 3025E/3032E/3038E Tractors. This can be combined with the regular installment options. Sales made to government agencies, company direct sales or other businesses/agencies that participate in John Deere's Special Discount Program or Rental Business Program are not eligible. Some restrictions apply, so see participating dealer for details and other financing options. Offer is available only on New John Deere 3E Compact Utility Tractors only at participating United States dealers. Prices and savings are in U.S. dollars. 6Offer valid for $500 off on all New John Deere 3E Compact Utility Tractors when purchased with two or more John Deere or Frontier Implements purchased from an authorized John Deere dealer between 1 February 2019 and 30 April 2019. Prices and models may vary by dealer. This can be combined with the regular installment options. Sales made to government agencies, company direct sales or other businesses/agencies that participate in John Deere's Special Discount Program or Rental Business Program are not eligible. Offer is available only on New John Deere 3E Compact Utility Tractors only at participating United States dealers. Prices and savings are in U.S. dollars. ¹Offer valid on purchases made between 1 February 2019 and 30 April 2019. Subject to approved installment credit with John Deere Financial., for Ag, consumer, or commercial use only. No down payment required. $16.67 per month for every $1,000 financed. 0% APR is for 60 months only. Taxes, freight, setup and delivery charges could increase monthly payment. Sales made to government agencies, company direct sales or other businesses/agencies that participate in John Deere's Special Discount Program or in John Deere's Rental Business Program are not eligible. Available at participating U.S. dealers. Prices and models may vary by dealer. 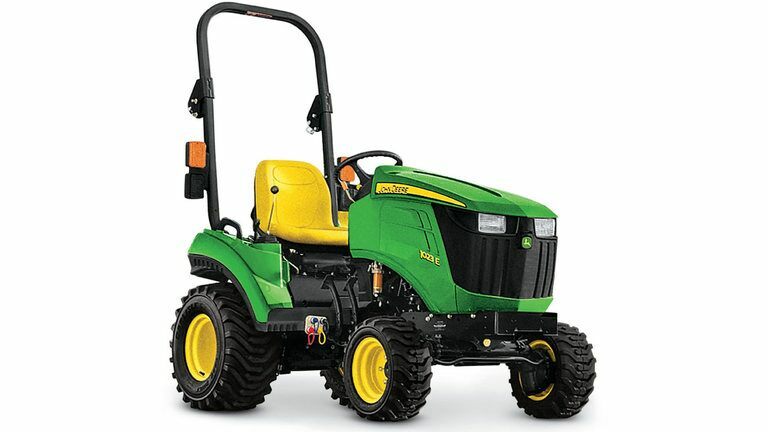 Offers available on New John Deere 5E (45-75 hp) Utility Tractors and in the U.S. only. Prices and savings in U.S. dollars. 4Offer available on qualifying purchases made between 1 February 2019 and 30 April 2019. Prices and models may vary by dealer. 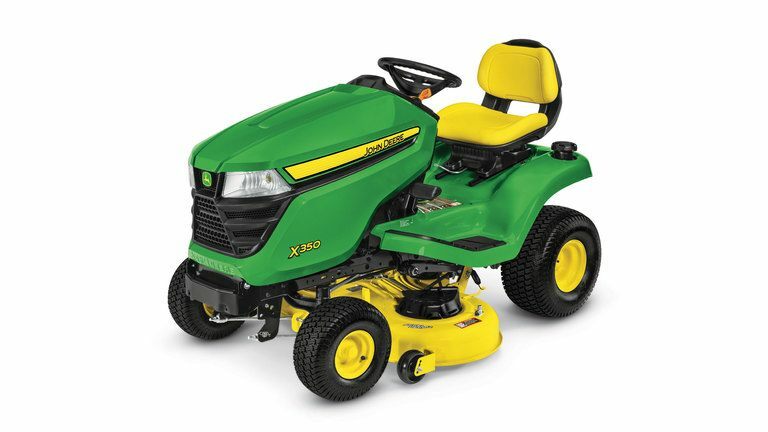 Save $2,250 USD on new John Deere 5045E/5055E, or $2,500 on 5065E/5075E. This can be combined with the regular finance options. Sales made to government agencies, company direct sales or other businesses/agencies that participate in John Deere's Special Discount Program or Rental Business Program are not eligible. Some restrictions apply, so see participating dealer for details and other financing options. Offer is available only on New John Deere 5E (45-75 hp) Utility Tractors only at participating United States dealers. Prices and savings are in U.S. dollars. 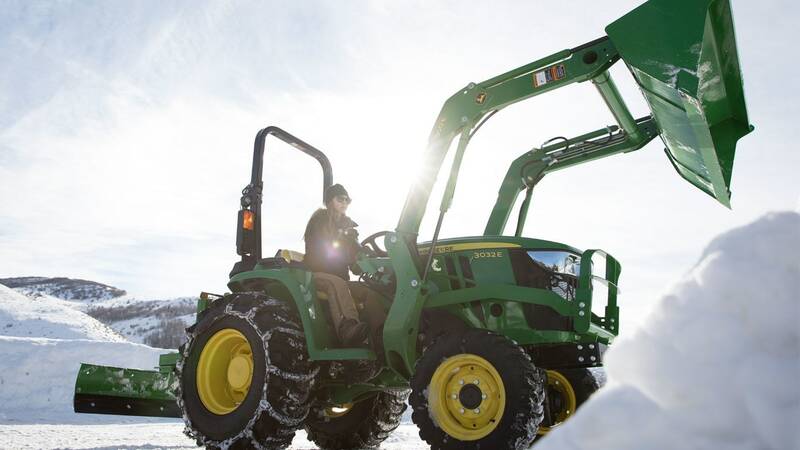 6Offer valid for $500 off on all New John Deere 5E (45-75 hp) Utility Tractors when purchased with two or more John Deere or Frontier Implements purchased from an authorized John Deere dealer between 1 February 2019 and 30 April 2019. Prices and models may vary by dealer. This can be combined with the regular installment options. Sales made to government agencies, company direct sales or other businesses/agencies that participate in John Deere's Special Discount Program or Rental Business Program are not eligible. Offer is available only on New John Deere 5E (45-75 hp) Utility Tractors only at participating United States dealers. Prices and savings are in U.S. dollars.